copyright Nationaal Archief/Spaarnestad Photo. All rights reserved. It is not permitted to reproduce photos without prior permission of the copyright holders. Relatively little is known about the life of Simon Gokkes. Most of his compositions were lost during the war; in the preserved works his preference for Jewish and biblical themes is apparent. From a young age Gokkes worked as a choir and opera conductor. He rescued a number of operas from oblivion. He and his family were murdered in Auschwitz in 1943. Simon Gokkes was born in Amsterdam on March 21, 1897. David Gokkes, his father, was a peddler from Blokzijl, a harbor town in the province Overijssel. His mother, Rachel Rimini, gave birth to three sons: Jacob, Joseph and Simon. 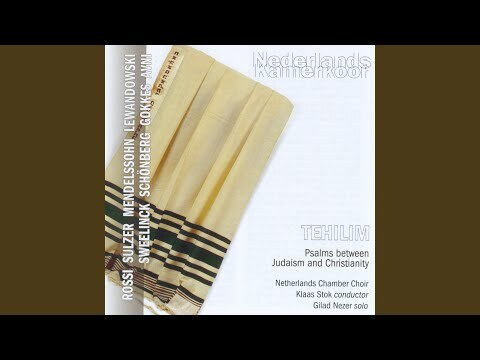 Sim's musicality was noticed early on and he received singing lessons from opera singer Ben Geijsel, and also from Victor Schlesinger, cantor of the Rapenburger synagogue in Amsterdam. It isn't clear how and when he began composing, or who taught him. The fact is that in 1912, his first compositions were performed by the choir of the Rapenburger synagogue when he was just fifteen. As a teenager he conducted several choirs. In 1914 he replaced Schlesinger (who had left the country) as conductor of a children’s choir. 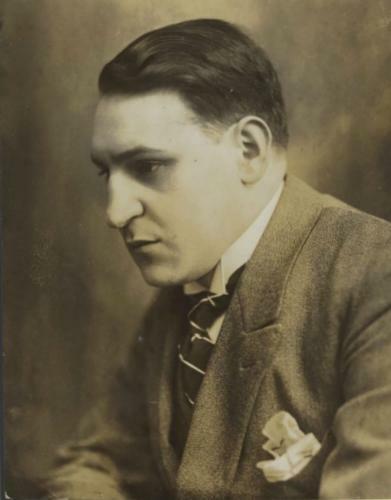 Gokkes attended the Amsterdam Conservatory to study with Sem Dresden, graduating in 1919. He served for a brief time as the second Kapellmeister of the Operetta Company Pauwels en Kreeft, but military service brought an end to this. In 1921, he founded the Amsterdamsche Korenschool (Amsterdam School of Choirs), aiming to renew the “Liedertafel style.” This was an unpretentious choral style, practiced by male choirs, and the social aspects were just as important as making music. Gokkes achieved great artistic success with this endeavor, according to a newspaper report from that time. For years he conducted the Portuguese Synagogue Choir in Amsterdam and he continued composing. In 1923, Gokkes married the pianist Rebecca Winnik, who had her own private music school. They had two children, David and Rachel. Gokkes was appointed conductor of the Jewish Men's Chorus Harpe Davids in 1925, and also of the Koninklijke Vereeniging De Vereenigde Zangers (Royal Society of United Singers). As a young conductor, he followed in the footsteps of his famous predecessors Roeske and Cuypers, but that did not stop him from making his mark on the programs. The following year he changed both the working method and the programming of the organizations. He saved the opera Il matrimonio segreto by Cimarosa from oblivion with a performance in 1926. And a year later, they performed – now as a mixed choir! – Cherubini's Les deux journées ou Le porteur d'eau. In 1936, Gokkes was appointed musical director of the Choral Synagogue-South at the Jacob Obrechtplein in Amsterdam. The weekly Nieuw-Israëlietisch Weekblad (niw, New Jewish Weekly) reported: “Mr. Gokkes brought the choir to great heights, adding lustre to the service.” He wrote regularly in the niw. On the occasion of the magazine's fortieth anniversary he compiled a chronologically comprehensive overview of Dutch Jewish musicians from the late 18th century up to his contemporaries like Israel Olman, Leo Smit and Rosy Wertheim. At Gokkes' own silver jubliee - it was now 1937 - newspapers reported that he had written some 40 to 45 works for choir, orchestral and chamber music, and one oratorio. His music had been performed domestically but was also warmly received in Madrid and Paris; the Hebreeuwse liederen (Hebrew songs) were, for example, performed at the Salle Pleyel in Paris, with singer Lotti Muskens-Sleurs and Gokkes accompanying her on the piano. The Gokkes family lived in the Southern district of Amsterdam on the Bronckhorststraat, near the conservatory; the Nazis forced them to move to the “Jewish quarter” near the Nieuwmarkt and later deported them to Auschwitz. The family home was ransacked and all family members were murdered in Auschwitz in 1943. Sim Gokkes can probably be characterized as the most Jewish among the “Jewish composers” on this website. His works were mainly commissioned for worship in the synagogue. Unmistakably present in his music is his Jewish origin with a particular fondness for biblical themes. Unfortunately, due to the war, little of Gokkes' oeuvre is preserved. In the archives of the Portuguese Synagogue in Amsterdam is the manuscript of Gokkes' Sjire Kodesh. This is a book of melodies intended to accompany the services in the synagogue. With this work Gokkes wanted to bring back the authenticity and purity of traditional Jewish melodies, which had diminished over time. According to Gokkes, influences of secular music, including opera, had become far too dominating. Paradoxically, he applied new music techniques for this restoration work. Example given: a work for solo voices, wind quintet and piano from 1928, inspired by Jeremiah's lamentations. In this composition, only the syllable ha is sung by the vocalists, quite a modern approach for that time. In that same year he also wrote some subtle songs set to Dutch, Hebrew and French texts. The composer Max Vredenburg discussed a number of Gokkes' compositions in 1933. He acknowledged Gokkes' preference for vocal music; was critical about Exodus – up to that point Gokkes' largest work - but praised the smaller works for men's chorus. Vredenburg regretted that Gokkes' music was insufficiently studied and performed. One of Gokkes' last compositions is the Sonatina for piano (1939), a collage-like work based on themes from the Esther story, told during Purim. According to this narrative, the Jewish Queen Esther warned her husband, the Persian King Ahasuerus, that a mass murder of the Jewish citizens was being planned. Twenty five hundred years later, nobody could prevent a similar destructive plan to systematically murder all European Jews.